Sealing the grout between your tile will help keep out dirt, bacteria, and mildew that can all cause unsightly staining and make your bathroom less hygienic. Over time, the sealer can break down, so it is important that you re-seal your grout every year or so. However, if you notice signs that the sealer is failing, you can re-seal the tile more frequently. If you do not seal your floors on time, the dirt will penetrate and can be much harder to remove. You can hire a tile cleaning company for professional tile and grout cleaning near Chandler, but the stains may linger if the grout has been exposed for too long. Once the sealer starts to fail, water and dirt can penetrate the grout, and they can cause it to fail. The grout will weaken, and it will start to show cracks. With the cracks in the grout, the water can get under the tile, which can weaken the subfloor and allow mold and mildew to proliferate. If you see cracks in the grout, you know for certain that the grout needs to be replaced. But you will need to consult with a professional to find out if the tile or the subfloor also need to be replaced There may be extensive damage that you cannot even see. Obviously, if you have cracks in your tile, there’s nothing you can do except replace it. You don’t necessarily have to replace the whole floor. If the problem is isolated, you can just replace the tile. But you’ll need a professional to inspect your floor to get to the root of the problem. If the floor is not level or if there is rot from water leakage, you can’t just replace one tile and expect to have the problem fixed. If your floor is sagging, chances are good that your grout and many of your tiles will break. But if the tile is somehow intact yet the floor is sagging, it’s a sign that you need to pull up the tile and replace or repair the floor. Again, a professional will need to take a look to find out what’s happening first. The subfloor might be rotting because of water damage, or you might have other problems, like a foundation shift or termites. Professional Chandler tile and grout cleaning can restore a floor. It can lift off years of staining and bring back the color that you forgot was there. Regular sealing helps to prevent those stains from setting in, but if you neglect your tile floor sealing, those stains can build on each other over time. At some point, the stains may become so set into the tile that even the professionals cannot lift them out. If you hire a reputable Chandler tile cleaning company to restore the floors and the tile still looks a bit mottled or dull, it may be time to consider replacing it. Tile floors are easy to maintain and keep looking great for many years to come. You just need to commit to regular Chandler tile floor sealing to keep stains out and to protect the floors from water damage. Don’t let this essential maintenance lapse or you may find that you need to replace the floors rather than just have them professionally cleaned. 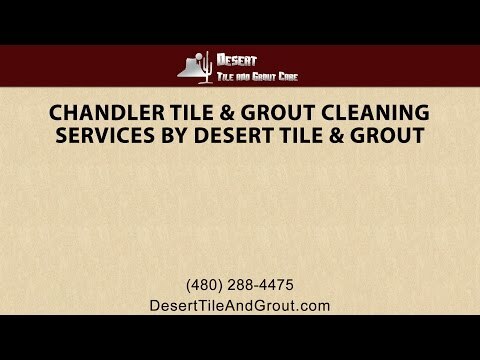 Desert Tile and Grout Care is a trusted tile cleaning company in Arizona. We offer tile and grout cleaning that can get out years of dirt and staining and restore the vibrancy of the colors in the floor. We also offer tile floor sealing to protect your floors and keep them looking as good as new, no matter how much foot traffic you get or how much water you spill on it. We’ll help you develop a maintenance plan that includes regular tile sealing and cleaning. Call us in Arizona to learn more about our services or to make an appointment. Home » How Often Can I Reseal My Tile before Replacing It?